This week I hit an interesting milestone as BloomUp, my side project, got its 100th user. For me getting to 100 users didn’t happen by just setting up the service and then waiting for people to magically appear without doing anything. As someone with no existing audience I knew from the beginning that I would have to put an effort and also spend some money to get initial traction going. Things started great back in December when my post to a subreddit caught some steam. I cannot recall exactly how many signups I gained from that post but it might have been around 50. I also didn’t pay for this particular post which was nice. Since then I’ve ran a few small budget (below $50) Facebook and Reddits ad campaigns and so far it seems like it's easier to find people who have interest in gratitude, mindfulness and BloomUp on Reddit. 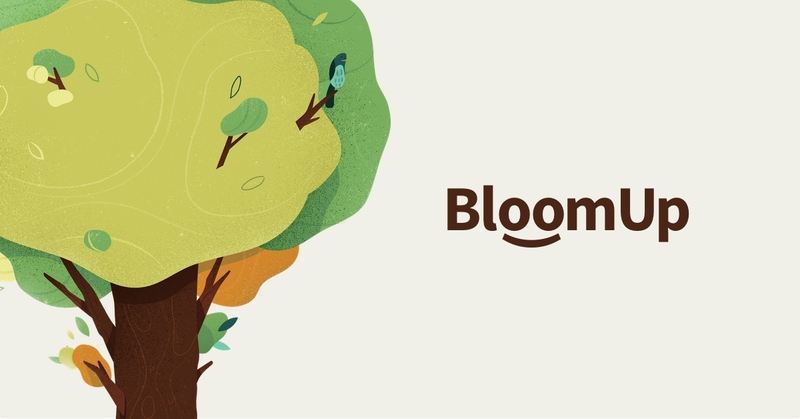 The click through rates have been pretty low on both platforms but once I get the person to visit the BloomUp website then they are converting really well. As of today the signup conversion rate is hovering around 10%. This percentage will definitely drop over time as the traffic grows but it is still an encouraging number to see at this stage. While getting to 100 users is a cool milestone it doesn’t mean that the journey is now over or that “I’ve made it”. In fact this is still just the beginning and there’s a long road ahead. I’m currently thinking a lot about how I could make the service even more valuable to the users. About a month ago I added some new features which I thought took the service up a notch and a few users have actually confirmed that they feel the same way. Besides adding more value I’m also still keen on completing my goal of making the first bit of revenue this year. But for now though it will be just the usual: trying to keep on growing, making the service better and being grateful!